Unless you live in outer space, most human beings on Earth are familiar with at least the barest details surrounding the raid on a walled compound in the quiet suburb of Abbottabad. Okay, so Mr. Bin Laden got iced by a Navy Seal, but mysterious details and myths have floated up since that fateful night time wet work. One of the most fascinating involves what’s pictured below. There’s more tasty juice after the jump. Seen north is an unidentified tail rotor of a helicopter. Apparently the Bin laden raid involved 80 Navy Seals who were inserted to the target’s lair via four choppers, one of which didn’t make it during the extraction rush, so it had to be destroyed to keep the op ‘sanitized.’ Destroying hardware is a countermeasure lest classified material falls into the wrong hands. 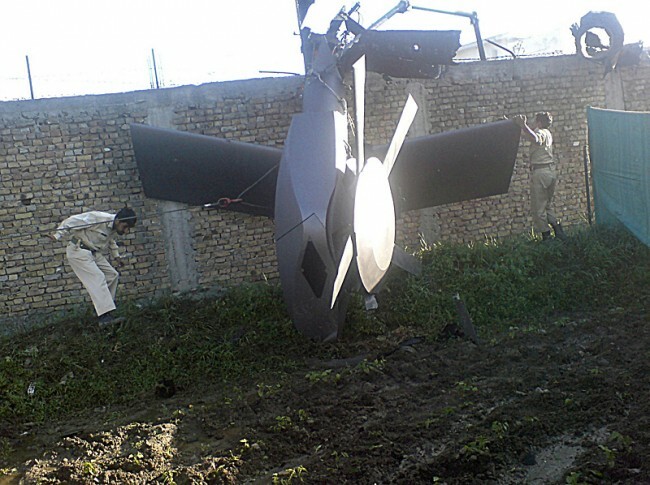 What’s strange is the surviving tail rotor can’t be palced on any single U.S. helicopter currently in service. A few experts have weighed in, claiming it’s a stealth variant of the UH-60 Blackhawk. There’s no confirmation from the top brass at the Pentagon though. Stealth helicopters are tricky since the biggest hurdle is suppressing rotor noise. A prototype ‘stealth’ heli was believed to be used in Vietnam, but there’s been no other variants except for the shutdown Comanche program. Stay tuned for more news on this front in the coming weeks.